In the decade of the Greek economic crisis a dynamic group of Greek poets has responded to recession by staking out new artistic and theoretical ground. Taking poetry on stage, boldly experimenting with the interface between poetry and performance, they present innovative multimedia and participatory events that expand the possibilities of poesis. What – This one-day symposium gathers together academics, students, writers, artists and practitioners committed to developing imaginative, creative and ethical narratives of desirable futures to meet contemporary social challenges. Dominant narratives of the future are apocalyptic or business-as-usual, the world will either end horribly and abruptly, or we will be saved by geo-engineering or a techno-fix. We champion work that challenges both catastrophising and complacent visions of the future that can exacerbate feelings of hopelessness, anxiety and powerlessness. Extraordinary and everyday utopias celebrates work – real and imagined – that promotes and inspires social change and sustainable, empowered futures. You will each have 20 minutes with which to share your work. This might take the form of a traditional presentation, but we also encourage work that offers creative alternatives to the conventional conference format. The abstract needs to include your name, affiliation, the title of your submission, an outline of your contribution and details of how you will you use your 20 minutes. The deadline is 5pm on 29 March 2019. We anticipate a post-conference publication with a mix of creative and critical work. Casting women in men’s roles may seem like a radical innovation of our times, but playing with gender was an exciting feature of early modern theatre practice across Europe. Professor Clare McManus and Professor Lucy Munro help us to discover the history of gendered performance on the Renaissance stage. Our research workshops give you a chance to be part of the Globe’s exploration of early modern and contemporary performance culture. Using extracts from well-known and less-familiar plays, Globe actors and leading academics uncover and question the practices of the Shakespearean stage. Expect discoveries – and expect to be asked for your feedback. Here’s a link to the event for those interested! On the 13th December 2018, Hannah Vincent, RLF Fellow at Brighton University, took part in the Performance and Community REG programme by offering a talk on her work as a playwright in the Joint Stock method. Hannah is a novelist and short story writer but her writing career began in theatre and she later worked as a television script editor for BBC Drama. Her play for radio, Come to Grief won the 2015 Audio award for Best Adaptation, and was adapted from her own stage play, produced as part of a residency at the Royal National Theatre Studio. Hannah’s talk was entitled, ‘Experts in our own lives: the Joint Stock Method’ and she was invited to contribute to this blog herself – over to you, Hannah! Thanks for having me, Craig. I was happy to come and speak about my experience of working in the Joint Stock method at the Royal Court Young People’s Theatre back in the early 1990s. I have fond memories of that particular time – formative memories, too, as the approaches I was introduced to as a young writer have had a powerful influence on my developing practice. 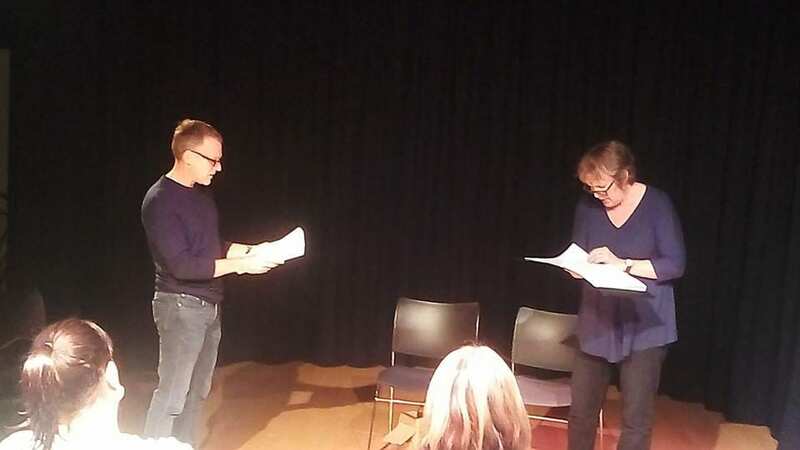 The Joint Stock method offers a way of dismantling hierarchical theatre-making structures by inviting director, writer and actors to research a play together. Members of the company are considered equal and collaborate in a workshop environment. The play is developed by the whole group. In the first stage of the process, writer, actors and director research a given topic and conduct interviews, bringing the results back to the rehearsal room where actors assume the role of the interviewee and characters begin to emerge. These characters are placed together in improvised scenes and then the writer goes away to write the play, drawing on whatever aspects of the research seem most valuable. After this, a more conventional rehearsal period begins with a first draft of the play. The text remains flexible and the writer is collaborative, accommodating ideas from other company members as the material is refined and adjusted. I leaned a lot form this process – as a writer and practitioner I continue to be open to feedback and I think this comes from my early experience of allowing my written work to be ‘up for grabs’ during its drafting. An important element of the Joint Stock research/rehearsal process is the invitation for experts in the field to address the company. When I wrote my play about HIV and AIDS education in 1990 there was a lot of ignorance surrounding the subject. We met health workers and specialists as well as people living with a diagnosis. My interest in verbatim techniques and the rich material that can be generated by paying attention to the way in which individuals articulate themselves has informed my subsequent practice in prose and life writing as well as drama. Since we are all experts on something I invited members of the Performance and Community group to interview each other and listen out for the idiosyncracies of speech and mannerism which characterise our accounts of ourselves. I think the group agreed that the results are often more striking, original and moving than anything a writer could come up with alone in their artist’s garrett. Studentships are available for PhD study at the University of Brighton! techne awards about 57 AHRC scholarships each year across the range of arts and humanities disciplines: 45 in its open competition and 12 through the Collaborative Doctoral Award route. Collaborative Doctoral Awards can be found on the ‘PhD with Partners’ page.Studentships include maintenance and fees for three years for a full time student; or six years for a part-time student. Please note that overseas students are not eligible for technescholarships. EU students are eligible for fees but not maintenance. Studentships are open to students who have already started their doctoral study but they must have at least 50% of the funded period of an AHRC award (usually 18 months) remaining at the time they start their scholarship. techne welcomes both interdisciplinary research proposals and those focussed within traditional discipline areas. If you are interested in a techne studentship, please contact a member of staff at the university where you wish to study in the first instance and check their deadlines. You can find out who this should be on our Members, Partners and Students page. The member of staff will be able to advise you on your suitability for a techne studentship, and support you through the application process. It will be necessary to apply separately for both a techne studentship and a place at your chosen university. When directed to do so by their university, students should submit their techne application through the techne Application Portal, which is now open for use. A word version of the application form and the application guidance are available. On the 14th November 2018, P.A. Skantze came to give a talk as part of the Performance and Community REG programme. P.A. is a Reader in Performance Practices at Roehampton University. 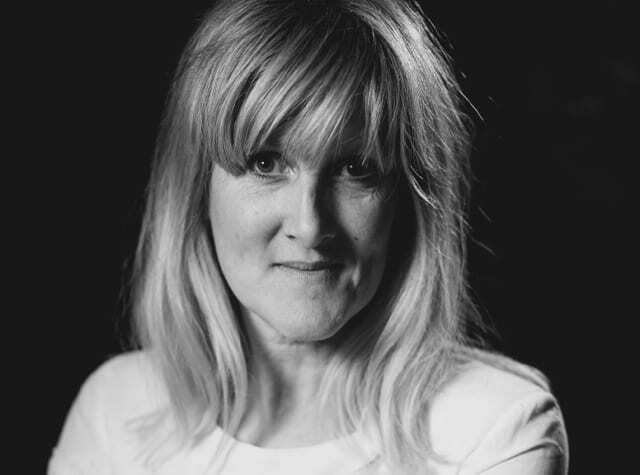 She directs theatre and composes for performance in Europe and the UK. Her musical Stacks will premiere in 2019 and her production Scoring Shakespeare an amalgam of text and sung libretto will premier at the National Theater of Croatia in 2020. P.A’s talk was entitled, ‘Gap Knowledge: the Epistemology of Practice as Research’. For some time, the concept of Practice-as-research has caused controversy within the academy by challenging the traditional bounds of scholarship, research and how knowledge is transmitted (and arguably, performed). P.A. herself states that her Practice-as-Research work, ‘gives shape (changing, shifting shape) to a form of thinking, of making, of thinking in making and making in thinking already alive in the practice as research work underway for many performance artists/scholars and theatre makers’. Indeed, key to her discussion of her opera Scoring Shakespeare was the affirmation of the script itself a kind of score, whose musicality and potential is realised through the hybrid form that opera represents. That is, the play itself is ‘far more subtle than written description allows for’ and only by exploring through practice, can one come to realise the potential of the work and, as a corollary, the unity of theory and practice, because such engagements represent theory-in-practice. This is in some sense reminiscent of the familiar idea that a script is a ‘blueprint’ for performance, but P.A’s observations helped to broaden these kinds of ideas into the questions of research and the role of the academic. One thing I found particularly interesting was P.A’s idea that one needs to practice ‘abandoning oneself to the supposition that one does not know’. This seems to me not only an epistemologically modest position, but as a starting position, characterises an exiting way of seeing research (and Practice-as-Research) as something open, explorative and whose end-state is provisional. Like work such as Carl Djerassi’s Calculus or Michael Frayn’s Copenhagen, Box is an example of ‘Science-in-Theatre’, a work equally committed to exploring the intricates and methodologies of science and its epistemological foundations, as well as seeing scientific theories as having a poetic and symbolic analogue in human lives. In Box, ideas of quantum entanglement and the familiar ‘dead-and-not-dead’ cat of Schrodinger are used to discuss the how ‘entanglement’ and uncertainty exist on the macro and the micro levels and how the particular so often speaks to the general. After the performance, we had an illuminating Q&A with Gill and Hannah. We discussed the interface between science and art, as well as the narrative dynamics of non-linear storytelling. This was particularly interesting in the case of Box as rather than being simply non-linear, it was multiply non-linear, exploring as it did the multiple possible lives of the two main characters, Allie and Mike. On the 10th October in our Explore Studio, the Performance and Community REG were pleased to host independent scholar and practitioner Maria Carnesky for a practice-as-research performance making workshop. 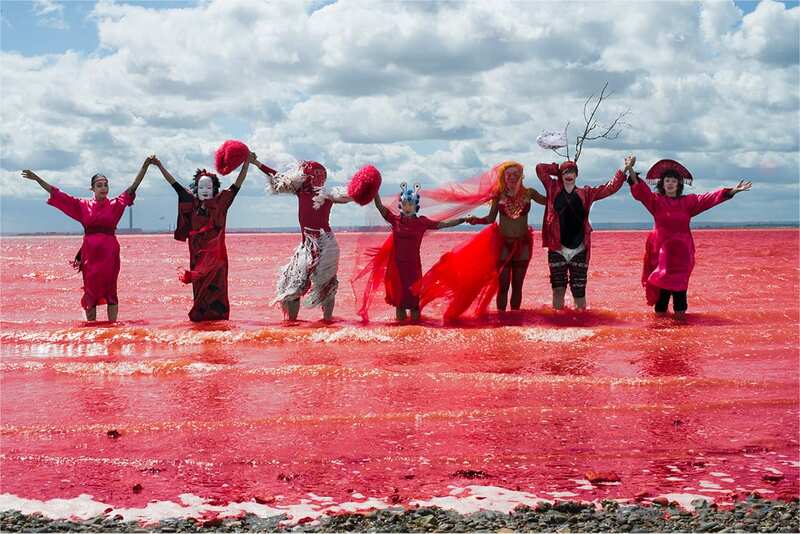 This workshop explored themes of menstruation, cyclicity and ritual action which drew on devising techniques which have evolved through Marisa’s artistic practice. 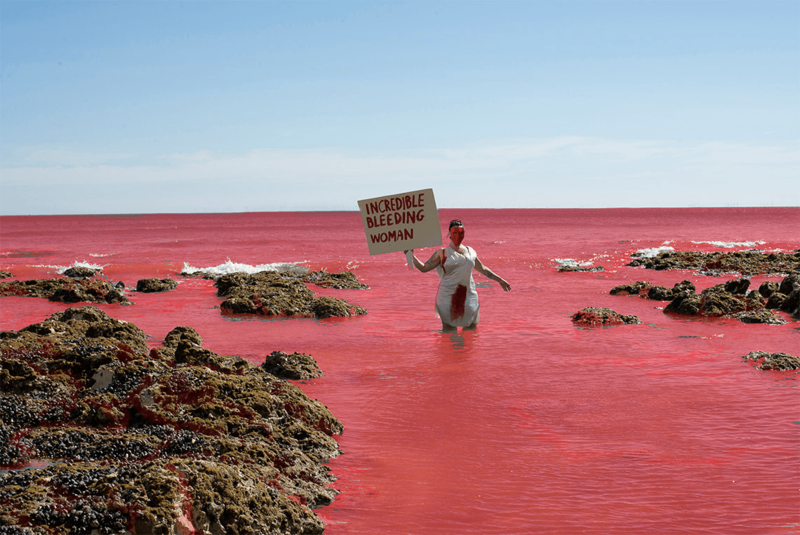 Building on the themes of the critically acclaimed performance work Dr Carnesky’s Incredible Bleeding Woman, her new show, Menstronauts A Go Go! reinvents menstrual rituals for a new era, drawing on the hidden power of a forgotten matriarchal past. Her workshops encourage a structured and supportive environment influenced by autoethnographic and activist practices. In the workshop, Dr Carnesky outlined her approach to devising and distinguished between two aspects of her method. One aspect concerned how she worked with her performance ensemble called the ‘Menstrants’. 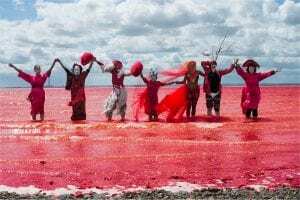 Menstrants would work on performances which expressed an individual idea around menstruation and the cycle, something often grounded in personal trauma. As well as a methodology which attempts to fashion a performative language to express ideas, the other aspect of Carnesky’s method involves collaborate work with the public. Supported by Mentrants, members of the public are encouraged to create interventions or actions which explore and challenge conceptions of menstruation. These actions take place in civic, urban and public spaces and are characterised by their disruptive, fun and spontaneous character. Participants engaged in this are called ‘Menstronauts’. In both approaches, Maria’s method emphasises the use of archetypes and strong visual imagery as a basis for the work or action to grow from. One powerful image is the snake, both as a representation of the taboo, but also of continuation or eternity. During our workshop, groups developed different ideas about actions they might perform. For example, one group began with an image of water flowing and related hidden rivers with menstruation, while another considered the image of eggs, as both a symbol of fertility and as something related to the menstrual cycle. The Community and Performance REG launches for 18-19! Each week, we will update you on our activities and some photos of our session. 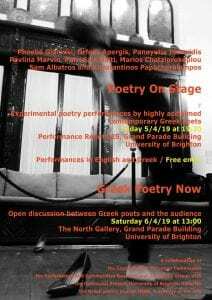 Performance and Communities is a research group at Brighton University which celebrates, challenges and researches the various modes of performance (voice, body, space, movement, language, sound, texture, shape, words). We consider how work on performance can engage, work with and learn from existing, evolving and new communities of people.